The City of Miami Beach is excited to announce Culture Crawl aiming to get residents and visitors exploring and becoming re-acquainted with Miami Beach and the plethora of their cultural offerings. Eight of the nations most prestigious institutions will open their doors for a lively night of special programming, open studios and galleries, outdoor films, live music, exclusive tours, night gardens & more. Bring a blanket, share a picnic and invite your friends to watch Wonder Woman (2017) on the 7,000 square foot outdoor projection wall. For those who love architecture and technology, join New World Symphony staff for a behind the scenes guided tour of New World Center. 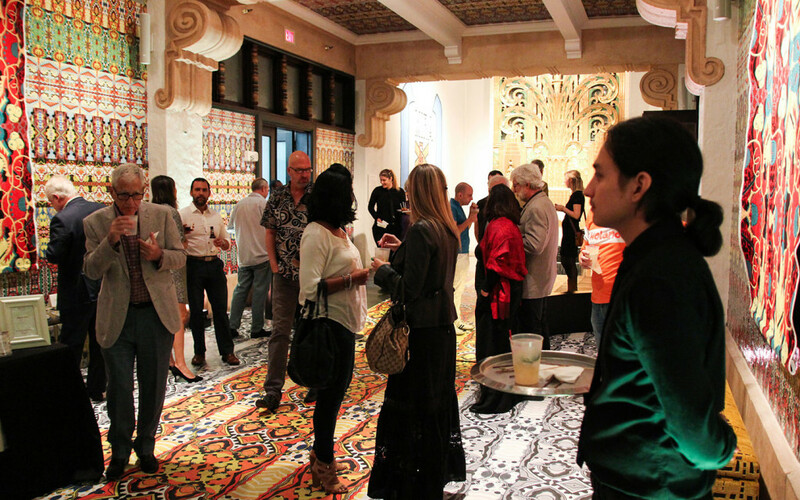 Join The Wolfsonian, Miami Beachs inventive and provocative museum of objects and design, for open access to all gallery floors, happy hour 2-for-1 pricing on drinks and a special discount in the design-oriented gift shop. Museum visitors can journey into a cartoon world of kosher folk art and meet the artist at the exhibition opening of Through the Hat: The Art of Steve Marcus. Learn about the three main styles of historic architecture in Miami Beach. See the work of current special presentations featuring local artists Marian Del Vecchio's Political Cartoons and Claudio Castillo's Generative Art. Make sure to journey behind the building at night to see Castillo's projection display that turns the Welcome Center into an artistic light box. Join some of Miami Beachs most interesting contemporary artists for open artist studio visits. The galleries will also remain open with exciting exhibitions including Dancing in the Absence of Pain, the first solo show for photographer Terence Price II, curated by Diana Nawi. Be sure to stop by the Miami Beach Botanical Garden for a unique opportunity to experience this magical oasis after dark. During the nighttime stroll, youll be able to learn about the plants and history of the garden while enjoying music and botanical beverages. The Bass introduces extended hours on the first Wednesday of each month and free admission for all visitors. Exhibitions include The Haas Brothers Ferngully, Paola Pivi Art With a View and Aaron Curry Tune Yer Head.